"Wanjiru's plans to race in Berlin last year were nipped in the bud by reluctance of organisers to enlist him at the event since they had a contract with Haile, who was responsible for selecting the field." - Mutwiri Mutuota writing for The Standard. In the article, Sammy Wanjiru talks about getting shut out of Berlin last year because Haile Gebrselassie had a contract with Berlin that said he could essentially pick the field. He calls out Haile for not racing the good Kenyans and says this year Haile's contract with Berlin is up, so expect Wanjiru in the German capital. 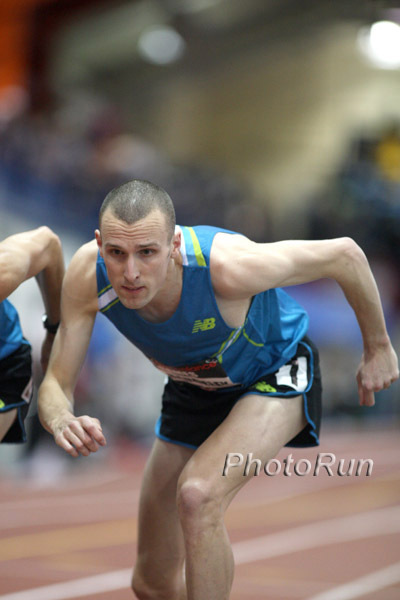 Coming Tomorrow at 8 PM EST - Episode #3 of Training Talk With Brett Gotcher & Greg McMillan Training Talk is back with it's first edition of 2010 and we've moved it up to Wednesday so we can feature the 4th fastest US debut marathoner in history Brett Gotcher and his coach Greg McMillan. Email us your questions in advance or call them in when you listen in live on Wednesday at 8pm EST. XMan Arrested Again, The Fourth Time Since He's Turned Pro The X-Man was legendary for quadrupling at NCAAs and pulling off the incredible 100-400 double at NCAAs. Now he's pulled off a much sadder quadpruple- his fourth arrest. As we said the last time, "Somebody help him fast."